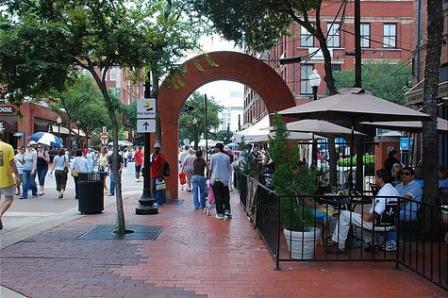 The tree-lined streets and brick-paved sidewalks of the Dallas West End Historic District will lead you to some of Dallas’ most popular dining and entertainment destinations. 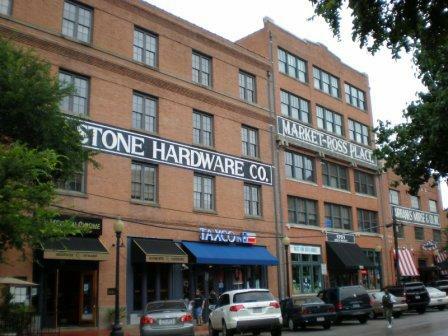 Many of the old warehouses and other brick buildings in this 20-block area of Downtown Dallas have been converted into award-winning restaurants, bars, pubs, and specialty shops. In addition, this historic district encompasses some of the top Dallas entertainment destinations, such as the Sixth Floor Museum, the Old Red Courthouse, the Dallas World Aquarium, and the Dallas Holocaust Museum. Back in the mid-1800’s, the West End was originally nothing more than a simple trading post. However, when two major railroads arrived in Dallas, development of the downtown business district exploded, and growth of the city took off from there. After World War II, when reliance on railroad transportation had begun to decline, the West End started to deteriorate. That led the City of Dallas in 1975 to declare West End Dallas a historic district, and a major emphasis was placed on revitalizing the area. 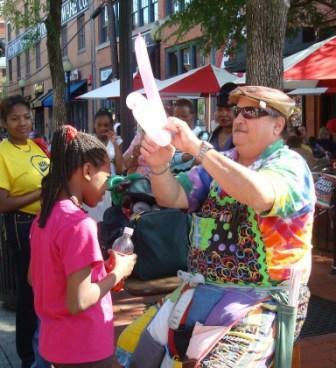 Those revitalization efforts were largely successful, and the West End Historic District flourished until the last 5 years or so, during which the area has gone through another period of transition. Though the West End Marketplace, a massive mall / entertainment complex, closed in 2006, the West End still enjoys tremendous popularity, attracting an estimated 3 million visitors per year. Its continuing popularity is due in part to a DART light rail station in the district, a major new development just to the north of them (Victory Park), its historic landmarks, popular, within-walking-distance attractions, and numerous dining and drinking establishments. 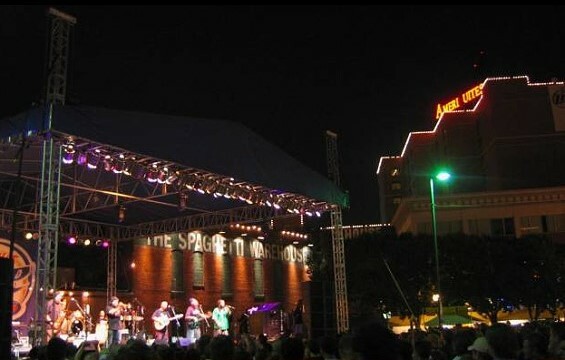 The Dallas West End Historic District, with its free concerts, street festivals, carriage rides, street performers, museums, restaurants and nightlife (like the House of Blues), keeps attracting both locals and out-of-towners. There is something for everyone in the West End, and it is still one of the most “happening” neighborhoods in Dallas. If you get a chance and you want a taste of Dallas entertainment, then the Dallas West End Historic District is a must-see.